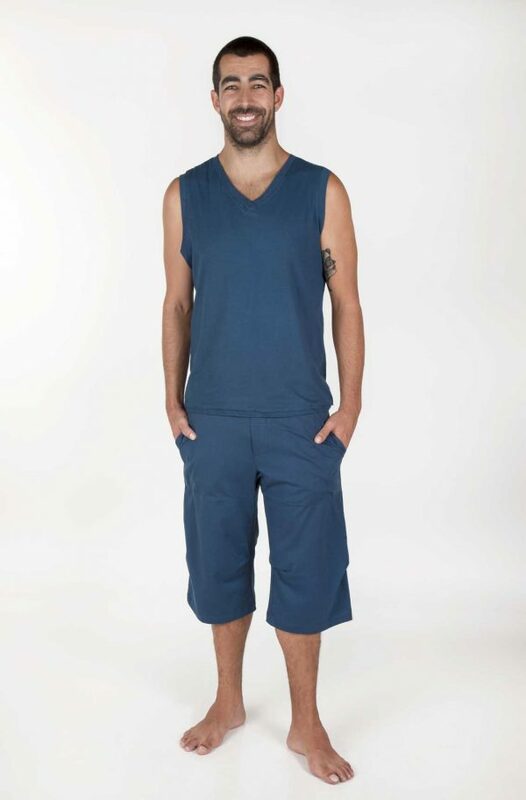 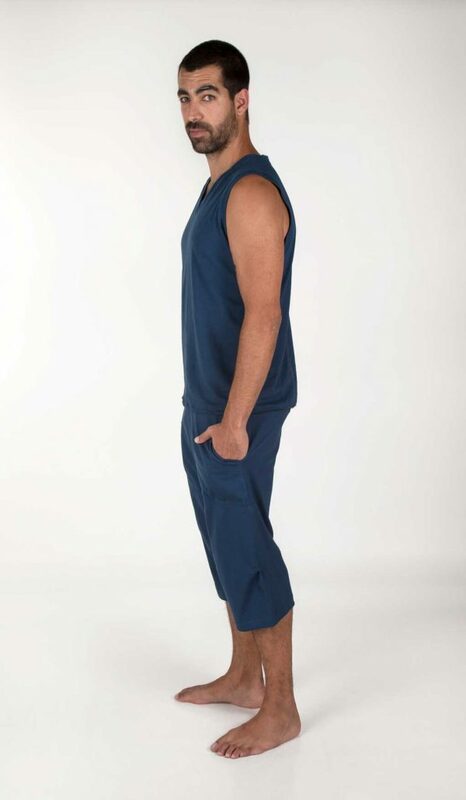 Shambala Shorts are the 3 quarters version of our Hanuman Trousers, freshly designed to beat the heat in maximum freedom of movement for any dynamic activity. 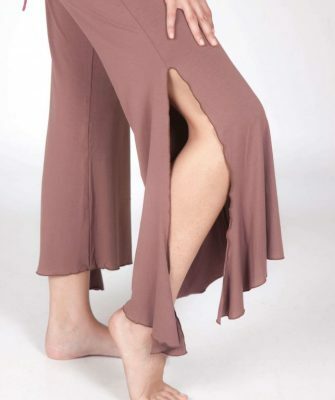 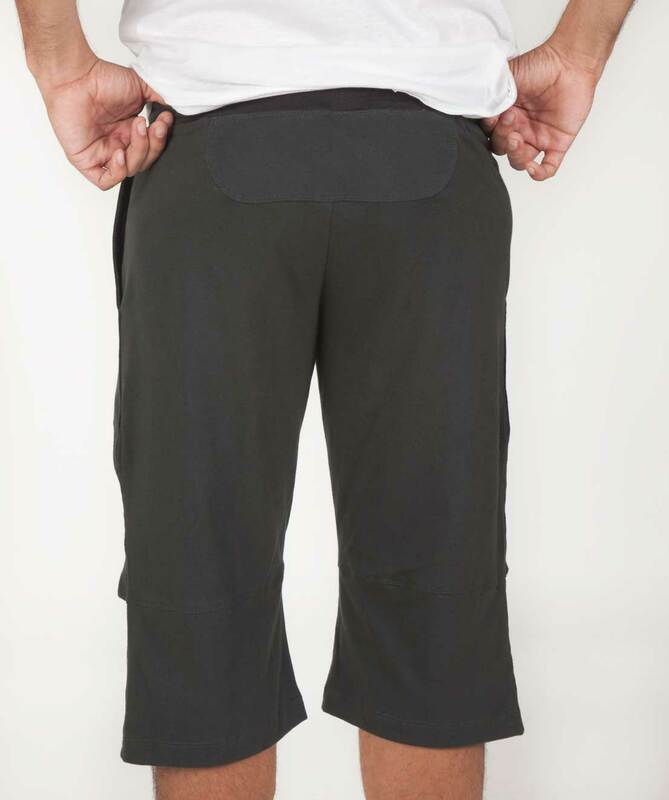 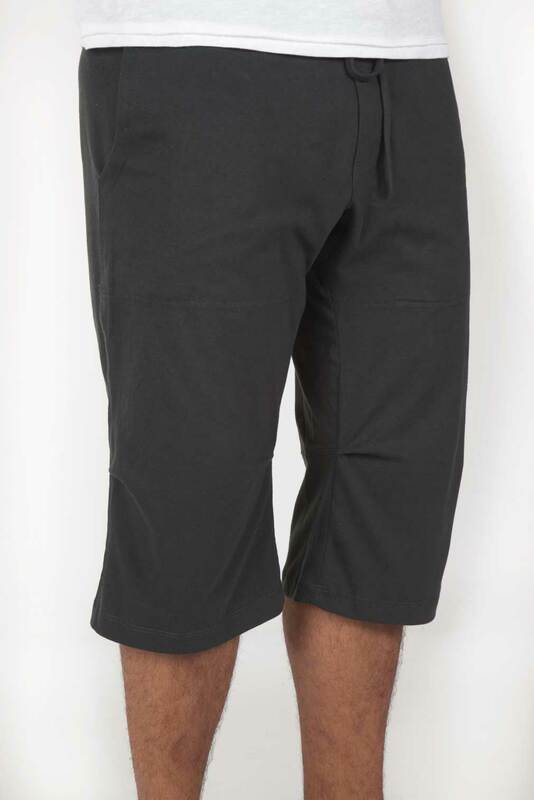 Shambala Shorts have spacious legs with little knee pouches and a wide gusset. 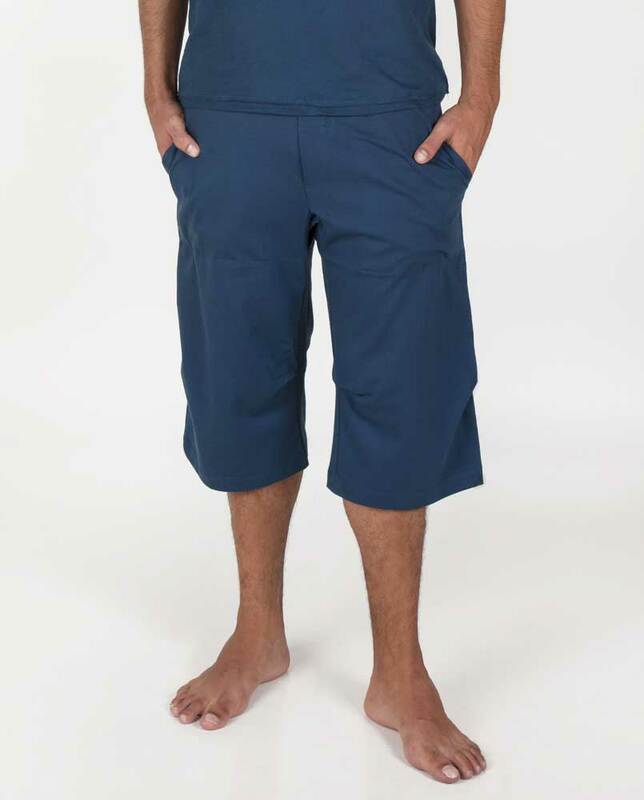 Super comfortable, made out of natural knitted cotton fabric. 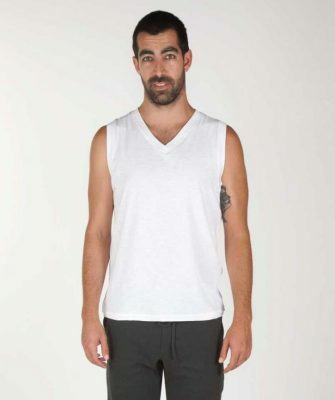 Wear them for capoeira, yoga and general good living.